For today’s engaged citizens, there’s no shortage of pressing concerns that demand attention: social and economic inequality, inadequate access to health care, persecution and violence on the basis of belief or group identity, assaults on civil rights and personal dignity, and profound environmental threats to the planet itself. As president of Psychologists for Social Responsibility (PsySR), I work with fellow members — psychologists and non-psychologists alike — in a shared venture to confront many of these challenges. A central premise of our efforts is that psychology — the science of human behavior — offers a strong base of knowledge and practice for developing and implementing policies that promote peace, social justice, human rights, and an ecologically sustainable future. We pursue these goals through research, education, intervention, and advocacy. Help individuals and groups overcome “us-versus-them” mindsets and build bridges across perceived divides. Encourage us to focus on our future collective welfare and to prioritize the broader long-term consequences of our actions instead of short-term self-interest by engaging our pro-social tendencies and moral sentiments. Strengthen our capacity to use thoughtful analysis and empathy when evaluating alternatives, and to resist appeals to fear and anger that are designed to cloud our judgment. Address misunderstandings and miscommunication, thereby serving to prevent the escalation of conflict and bloodshed; heal the wounds of violence, trauma, and neglect; and avert the transmission of revenge and despair from one generation to the next. Making meaningful strides in areas like these will require deep understandings of how psychology and politics are inter-related, as well as increased collaboration between psychologists and other social scientists. In this way, psychological knowledge can be used more effectively to identify key features of stubborn social problems and to illuminate potential pathways to progress. Here are several examples. Over one billion people struggle to survive on less than $1 a day. To reduce chronic poverty, we must confront the prejudices, discrimination, and societal arrangements that promote inequality and limit opportunity for so many. Psychology also highlights the need to reduce the stigma associated with being poor. And since we tend to be most supportive of others when their concerns relate to our own, anti-poverty campaigns are more effective when they communicate how poverty affects us all. Nuclear weapons could destroy all life on Earth, a horror so great that we bury it from awareness. To eliminate these weapons, it’s important to understand the psychology that motivates us to acquire and retain them. Paradoxically, the desire for greater security spurs countries to want weapons of mass destruction. Overcoming a common attribution error — “our weapons are for protection, but theirs are for aggression” — is therefore crucial for parties to negotiate in good faith toward a nuclear weapons-free world. Mass killing, torture, gender-based violence, and other human rights violations are a worldwide tragedy. Perpetrators are often driven by psychological factors, including vengeance, blind obedience to authority, the intoxicating effects of power, and the dehumanization and demonization of those who are different. We can counter these abuses by confronting the psychological barriers that too often discourage individuals or nations from intervening. These include fear, apathy, denial, perceived helplessness, and the diffusion of responsibility. Climate change, population growth, and rising consumption represent a looming ecological catastrophe that imperils all human life. Psychology offers key insights to confront this crisis. Policies can be made more effective by addressing our tendency to focus on the short-term and to disregard critical dangers that grow over time. Another promising strategy involves helping wealthier nations examine how their excessive consumption interferes with the pursuit of important goals and values. The behavioral sciences are directly relevant to the challenges of bringing about large-scale social change. Poverty, nuclear weapons, human rights violations, and climate change are global problems. But psychologically informed strategies have also proven successful when used in local initiatives. For instance, conflict management training for leaders in deeply-divided communities has curtailed sectarian violence. Intergroup contact and dialogue strategies have also been used effectively to reduce prejudice among participants in community youth programs. Carefully framed public service messages targeting HIV/AIDS prevention in under-served areas have led to sizable decreases in risky behavior. Correcting student misperceptions about the prevalence of heavy drinking has substantially reduced alcohol consumption on college campuses. Programs that provide comparative feedback on residents’ home energy consumption have lessened overall neighborhood energy use. And efforts to foster trust and a sense of shared identity have helped activists and advocacy organizations build broader and more effective coalitions. But while psychology offers great promise in these spheres and many others, we must also recognize that there are those who regrettably misuse their understanding of human behavior for selfish or destructive purposes. In particular, political, media, and corporate elites at times engage in manipulation to promote everything from unhealthy lifestyles to greater inequality to war. The consequences are often tragic. 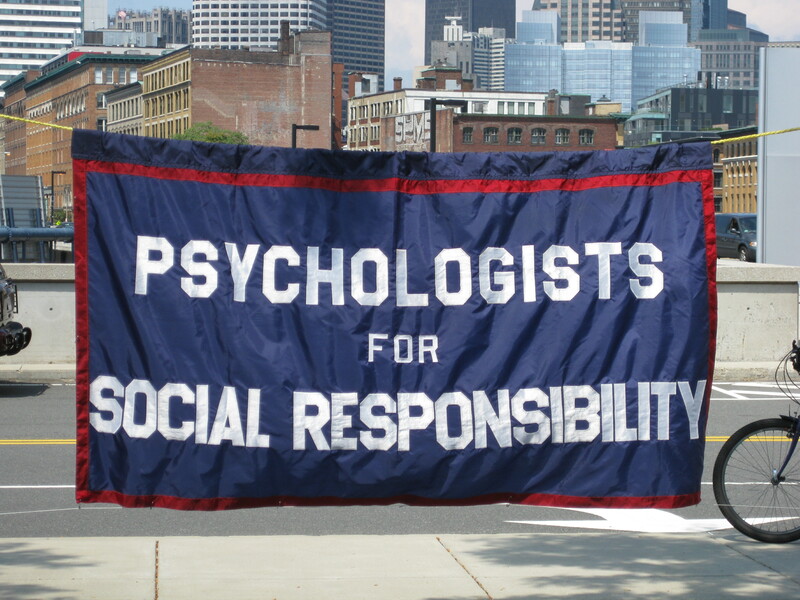 The members of Psychologists for Social Responsibility believe that bringing greater psychological knowledge to the widest possible audience — policymakers, activists, educators, students, news media, and the general public — is crucial for empowering all of us to pursue socially responsible solutions to the many challenges we face today.